Red is my kind of play. More about character and ideas than plot or action, it's a feast for the ears and the mind. And the eye, with replicas of the main character's (Russian-American abstract expressionist painter Mark Rothko) murals on display on the stage. It's the kind of play that makes me want to run home and research the subject to learn more about it, and hopefully one day visit a museum where Rothko's work is displayed. I must admit, I've never heard of him before; I don't know much about art. Which is another thing this play makes me wish - that I had taken more than just that one art class in college. This play is about art, expression, and creation, but it's also about the more global themes of loss, death, and relationships. It's just a fantastic play (written by John Logan, who's written screenplays for several movies including Gladiator and Hugo). The Tony voters agree with me; Red won six Tonys in 2010, including best play. But I have a hard time imagining that it was any better than the production currently playing at Park Square Theatre. It's a definite must-see. Red takes place in the late 1950s, when Rothko was painting a series of murals on commission for the Four Seasons restaurant in New York's brand new Seagram Building (where people like Don Draper would dine). In this fictionalized account, Rothko hires an assistant named Ken. Ken is also an artist, although Rothko never treats him as such. He's an employee, there to do what he's told and not offer an opinion. Their relationship develops over time as they work together from nine to five, five days a week. Ken begins to challenge Rothko about his work, his ideas, and his lifestyle. 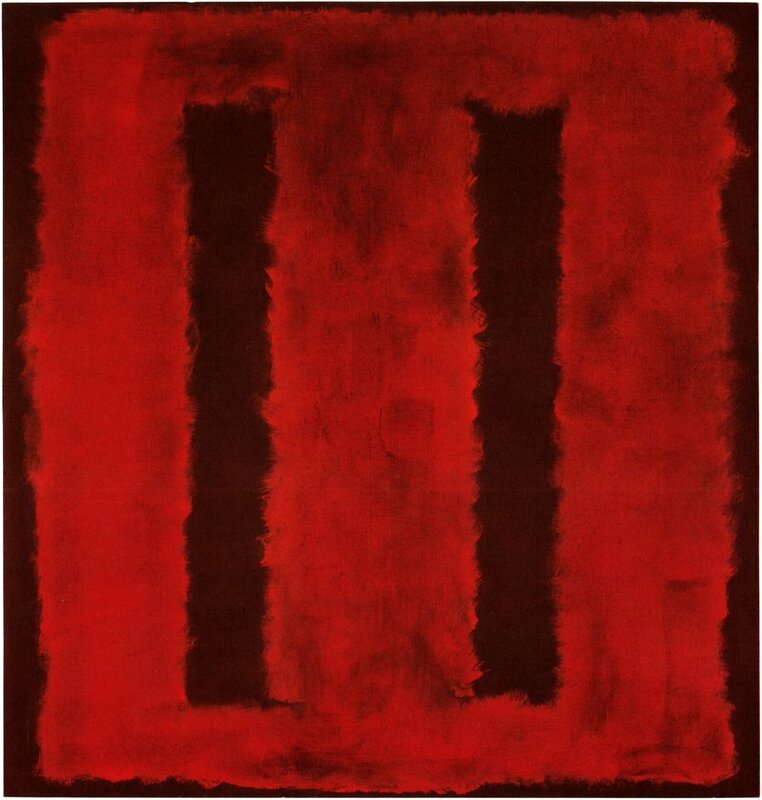 Rothko eventually decides to turn down the commission, return the cash advance, and keep the paintings (they now hang in the Tate Modern in London, the Kawamura Memorial Museum in Japan, and the National Gallery in DC). 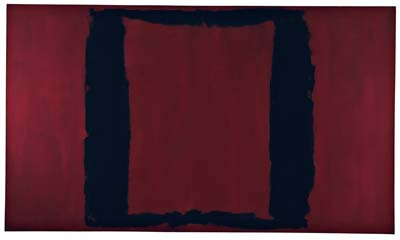 He releases Ken do his own work and live his own life, while Rothko continues his solitary pursuit of art. I can't say enough about this cast. These are two intense, deep, layered characters, and J.C. Cutler (Rothko) and Steven Lee Johnson (Ken) bring out all of those layers. They also have a great chemistry together as teacher/student, employer/employee, friends, and adversaries. I've seen J.C. several times and he's always great, but this is truly a standout performance. Steven is a still a student in the U of M/Guthrie BFA program, but he's already a fantastic actor. He was wonderful in Theater Latte Da's Beautiful Thing this spring, and very much holds his own against the veteran actor in this production. 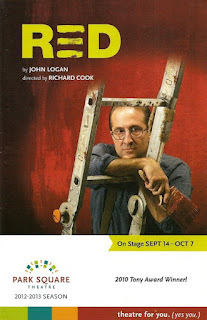 The Park Square Theatre stage has been converted into a well lived-in and worked-in artist's studio, with paints and canvases tucked in every corner (the set was designed by Lance Brockman, with scenic assistant Anne Henly painting the Rothko replicas and instructing the actors in the act of painting). The characters spend the first two scenes in this one-act play talking about painting and mixing paint, building the tension so that you're just itching to see that paint hit the canvas. And when it does, it's a beautiful release. Classical music (and a bit of "modern" jazz) provide the soundtrack, seemingly coming from a record player in the corner, and act as another character in the play. 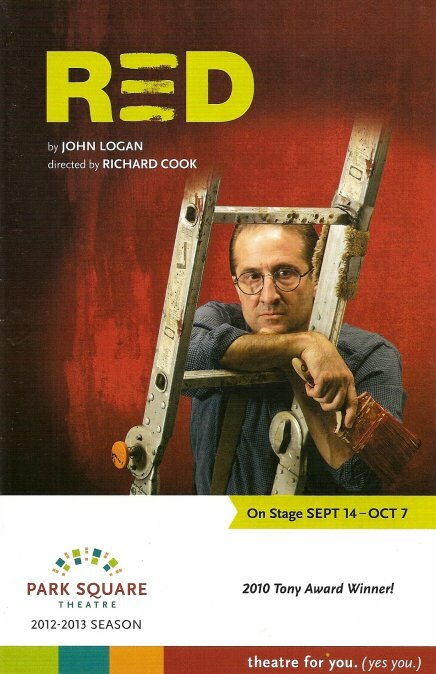 Directed by Park Square's Artistic Director Richard Cook, this play is an almost visceral experience, with art, music, ideas, words, appealing to all of the senses. I don't often tell you what to see, preferring to share my thoughts and let you decide if it interests you. But I'm telling you, go see this play. One of the best new plays, two amazing performances, lofty ideas, intense emotions, an interesting set filled with huge canvases, what more can you ask for? At a relatively brief 90 minutes with no intermission, it's well worth your time. Here are a few of the paintings you'll see on stage. Photos do not do them justice. Nor, I assume, do the replicas. Hopefully one day I'll see them in person, yet another example of something I first experienced at the theater.